1.) Invest in hanging space. 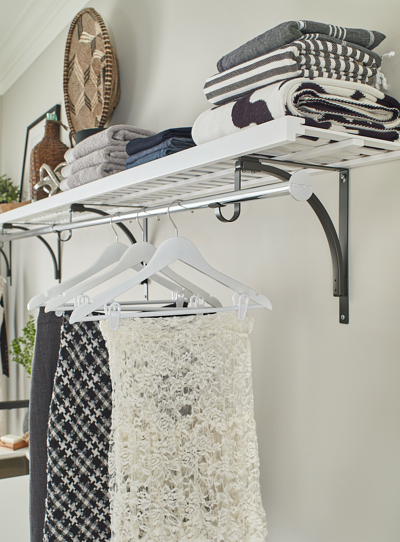 If you have unused wall space in your laundry room, consider installing a few hanging rods with open shelving to give you more storage space. You can use this to store folded clothes or towels and as a drying rack for garments that have just been washed. 2.) Use decorative jars as storage. Put laundry room essentials like detergent, baking soda, and other household items in decorative glass jars to instantly upgrade your space. 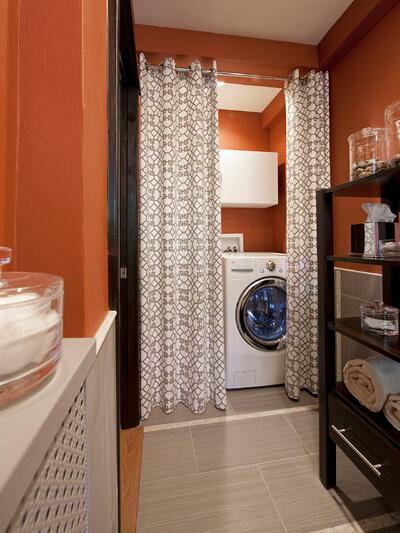 It will make the things you need easier to find and help your laundry room look more polished. 3.) Make your own DIY lint collector and dryer sheet dispenser. 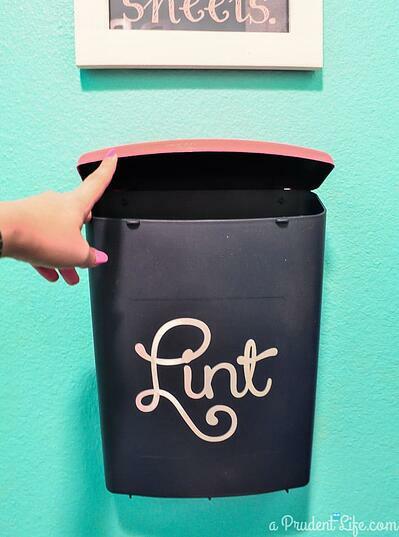 If your laundry room has no space for a trash can, try making your own lint collector at home to avoid lint overload -- check out the DIY guide to making your own here. For dryer sheets, try making your own dispenser for a simple upgrade to your laundry room. 4.) Use curtains to separate space. If your laundry room is tiny, consider using curtains to create more space and separate your laundry room into different areas. 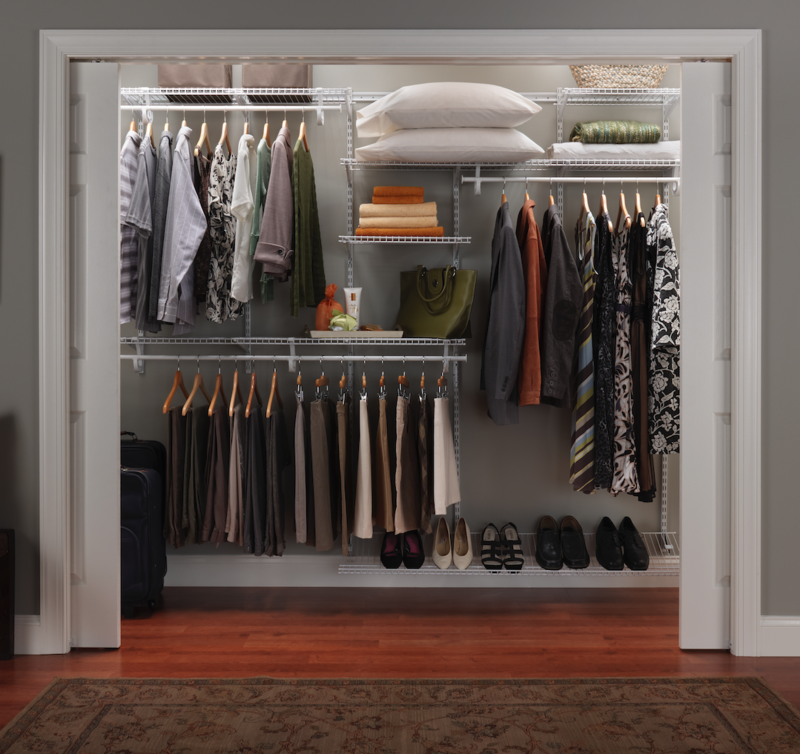 It can also act as a room divider and hide unsightly utilities when guests come over. 5.) Use Fabric Drawers for additional storage. 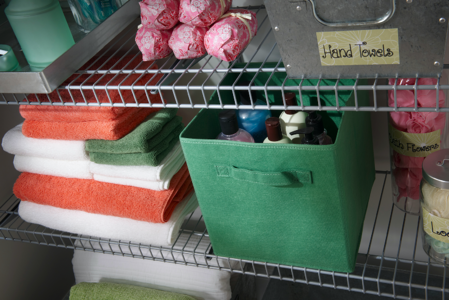 Fabric drawers can instantly create more storage space in your laundry room by giving all of your supplies their own place. 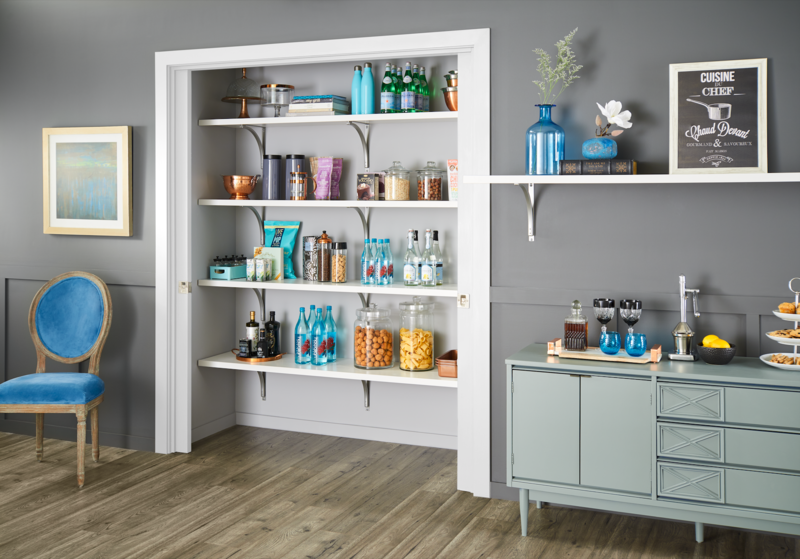 Stow them on easy-to-reach shelves and mix and match colors for a polished look that fits your style. 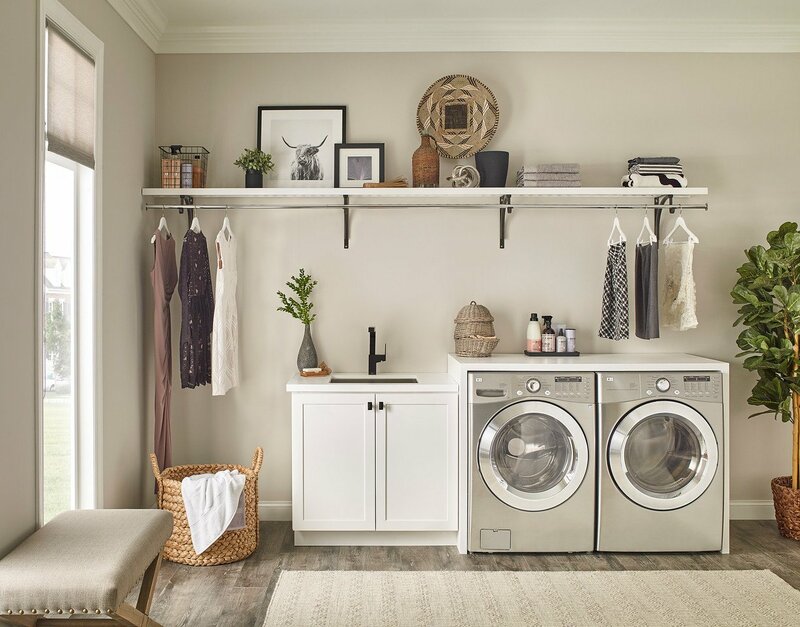 With these organizational tips, you can take control of your laundry room once and for all -- and you might even start looking forward to laundry day! 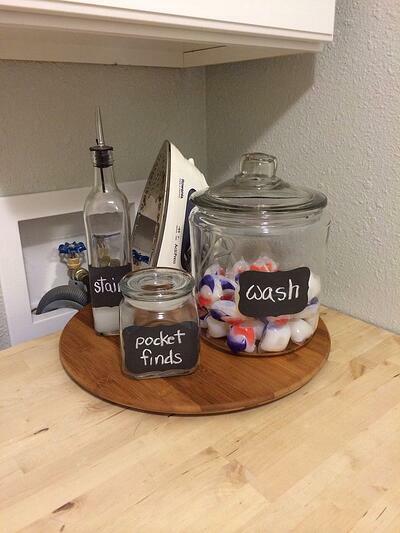 0 Comments on "How to Make the Most out of Your Laundry Room"